Preachers need stories. Stories, examples, and illustrations bring sermons to life. But what sort of stories work best to communicate the gospel for listeners today? In Actuality, discover why the best sermon illustrations come from real life, from the actual experiences of trouble and grace in your own life as a preacher and in the lives of your congregants. Learn how to find those stories and how to use them. Author Scott Hoezee demonstrates new story-sharing techniques with multiple examples and clear, practical guidance which is useful and instructive for every preacher who seeks to bring new vitality to the pulpit. Scott Hoezee is an ordained pastor in the Christian Reformed Church in North America. He serves as the first Director of the Center for Excellence in Preaching at Calvin Seminary. He has also been a member of the Pastor-Theologian Program sponsored by the Center of Theological Inquiry in Princeton, New Jersey, where he briefly served as pastor-in-residence. Hoezee is the author of several books and resides in Grand Rapids, Michigan with his wife and two children. 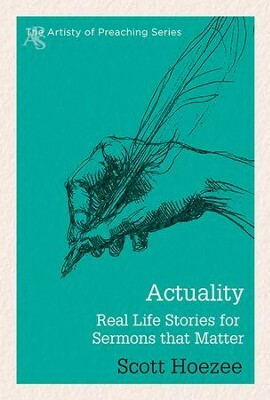 I'm the author/artist and I want to review Actuality: Real Life Stories for Sermons that Matter - eBook.